Sell to Us Price: $14.79 each. Only 355 left in stock! Canadian Silver Maple Leafs can get spotted, tarnished or scratched. 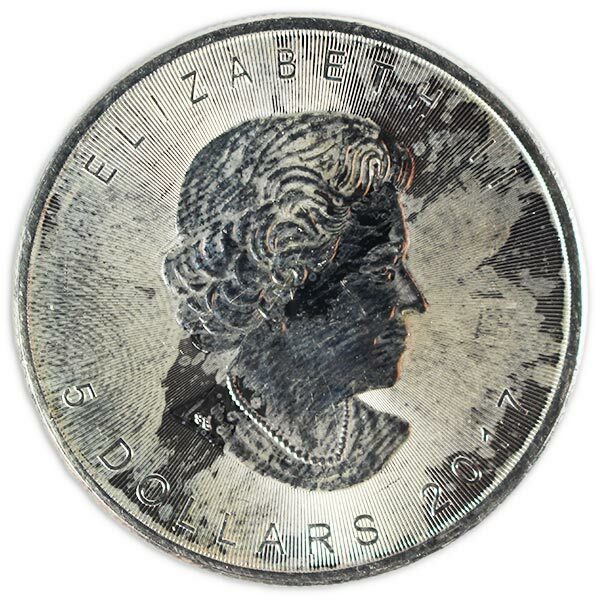 These sorts of blemishes do not dramatically impact the value of bullion coins or silver products, but Money Metals Exchange offers them at a discount to silver Canadian Maple Leafs coins in brilliant, uncirculated condition. For buyers who are less interested in condition, or want to take a chance on cleaning the coins, these can represent a good opportunity to save money. These are genuine, legal tender Maple Leaf Canadian silver coins for sale from the Royal Canadian Mint that are each is denominated at $5 CAN. The Canadian Coin is "four nines" pure - .9999 fine silver. 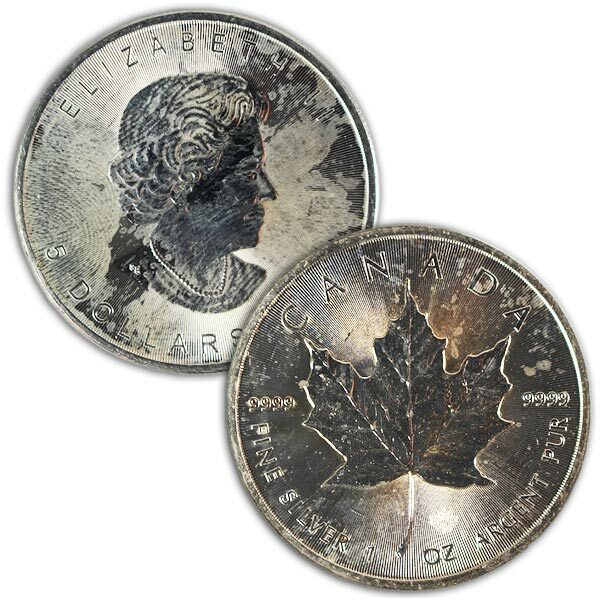 If you prefer silver Maple Leafs in BU condition, versus these circulated silver coins, check them out here. And while you're checking out the Silver Maple Leaf, just know we also offer them in .9999 gold. This allows our customers to have the ability to get the gold and silver version for their holdings. And FYI the Canadian Gold Maple leaf coins offered on our site, come in a variety of sizes, just like the silver bullion version. 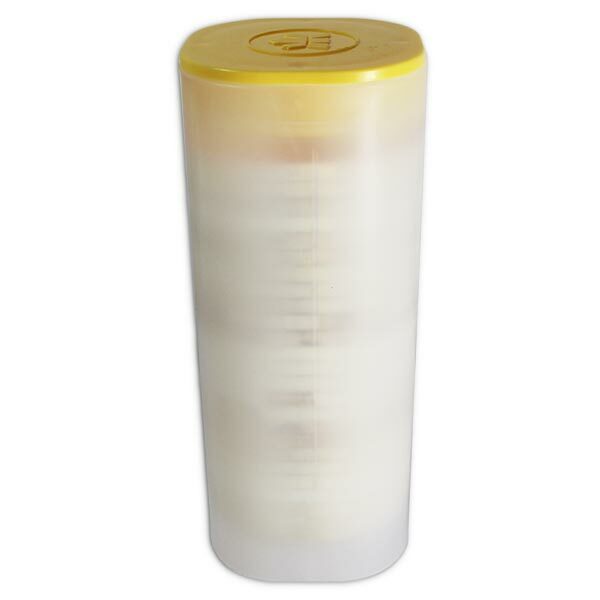 Our current buy pricing is $14.79 each and we will buy up to 500 ounces at this price. Simply call us on any weekday to lock pricing at 1-800-800-1865. The coins I received are in excellent condition. I only found some very tiny scratches on the edge of 2 coins. Couldn't find any spots or tarnish anywhere. Thank you and I will be back to purchase more soon. I was so pleased with the condition of the silver maple leaf coins I received today. There were some with milk spots and some had a few scratches but none of them looked tarnished. All the Maples I received were 2014 issue and very great shape for four year old tarnished coins. Hopefully I can find an offer like this again soon. I have to say that I was totally impressed with the quality of the 'tarnished' Maple Leafs that I received. Maybe I lucked out - I don't know - but the sample picture shows obvious tarnishing, while the coins I received were absolutely beautiful. Only one had what looked to be water spotting, and I had to look close to find it, and one had a slight scratch across Queen Elizabeth's face. The rest looked pristine. (If these are the flawed samples, I'm curious to see what a BU sample would look like in person.) While I bought simply for the silver content and it's value, I have to admit that they are gorgeous coins as well. Thanks! 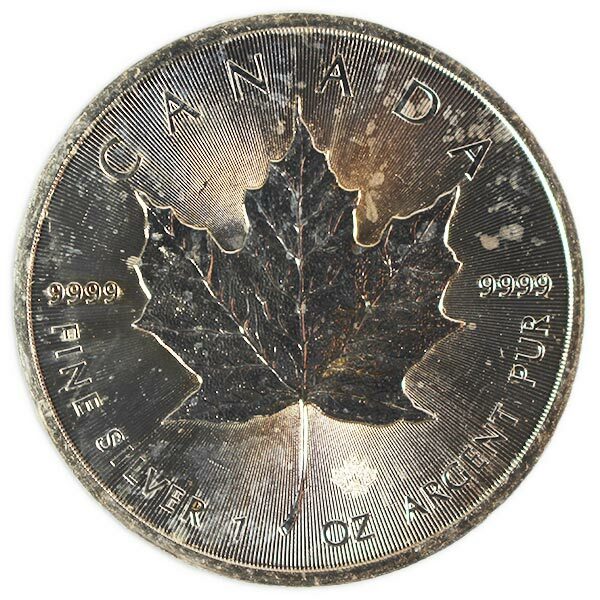 You can now sell your Spotted/Tarnished/Circulated Silver Maple Leaf, .9999 Pure, 1 Troy Ounce back to us online, at a price of $14.79 each!